With so many celebrities in the media undergoing a range of cosmetic surgery procedures, it can be difficult to completely ignore it and not want some for yourself. Many years ago, cosmetic surgery was actually quite worrying as of course, knowledge of human anatomy was very limited. But, with so many new technological advancements within cosmetic surgery, there is nothing to worry about anymore! With 3D imaging and a better understanding of the human body, surgeons are now able to carry out accurate surgery safely, with a huge emphasis currently on faster recovery. Five different advancements, in particular, have completely changed cosmetic surgery for the good. We also interviewed Toronto based breast augmentation surgeon Dr. Pirani who helped us put together the list of biggest technological advancements in cosmetic surgery. Going under the knife can be terrifying, especially if for the first time, so surgeons have now introduced a range of laser treatments into the industry. Laser skin resurfacing, in particular, is extremely convenient, as most patients are able to leave the clinic on the same day! It’s used for those aiming to improve their skin’s appearance, whether you want to get rid of those pesky wrinkles or you have a significant amount of sun damage on your face. The procedure itself is very simple, as a laser is used to remove skin one layer at a time, and then during the healing process, new skin cells form to create a tighter, more youthful surface. This technological advancement has transformed the cosmetic industry entirely. Before the emergence of tissue-engineering, procedures were often inaccurate, and therefore the patient would have to undergo the procedure twice. However, implants and tissue can now be easily generated by using silicone materials, simply because surgeons have a better understanding of cellular response. It all sounds very technical, but it isn’t rocket science that tissue-engineering has allowed surgeons to perform more efficiently on their patients. Whilst the traditional facelift has proven popular over the years, technology has allowed a better procedure to be created, known as the endoscopic facelift. With traditional facelifts, there is often a large risk of scarring, making people actually feel less confident after their surgery, defeating the entire point. Rather than having an incision from your temples around to and behind your ears, endoscopic facelifts involve small incisions of 4mm-5mm made at the temples and scalp. Then, the endoscope is used to perform the surgery effectively. With this method, you can enjoy less scarring, less numbing and an overall accurate job, as endoscopic facelifts can be carried out in much more detail. Carrying out cosmetic surgery is almost impossible without the correct understanding of the area you’re operating on. That’s where computer-assisted imaging comes in, as surgeons can now gather specific information about the formation of the client’s body, making results perfectly match their specifications. An example of where this is heavily used is in craniofacial surgery, correcting any skeletal deformities in the cranium and facial bones. Therefore, not only is computer-assisted imaging used for cosmetic reasons, but also for structural problems that can occur in an individual’s body. 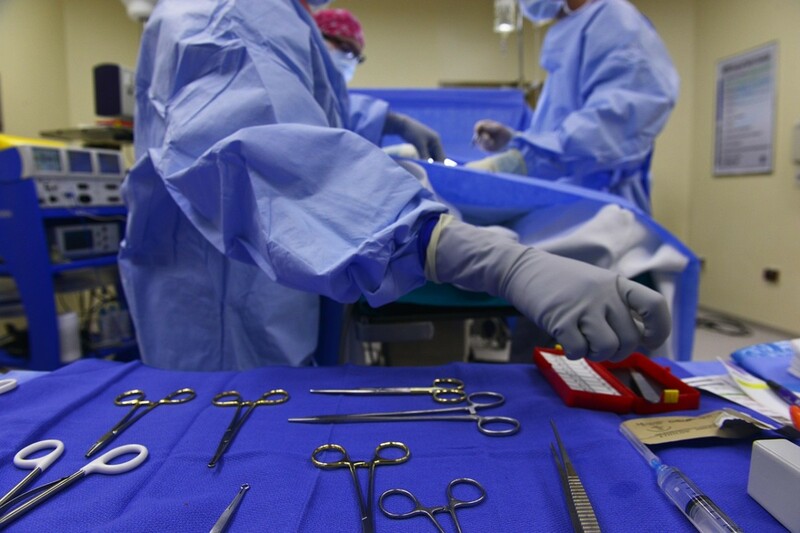 Full-on surgery can often be inconvenient for patients, as well as frightening. On top of this, they can take a while to recover from, which, when patients need to work and surgeons need more beds, this isn’t always optimal. Therefore, non-invasive treatments are useful to everyone, as it allows patients to recover quickly without any fuss, and also allows surgeons to help others quickly. Non-invasive treatments often consist of injection procedures, such as botox, so even though the procedures aren’t as complex, they definitely still produce impressive results. Outer Space for Parkinson’s Disease Research: How Will They Do It?